There are many articles on the internet stating social signals is not an SEO factor but in my experience there is no doubt it plays a significant role when it comes to implementing a successful SEO strategy. There are several reasons social signals have an indirect and direct influence on your website SERP (search engine results page). Register your business with the social media sites listed above and remember to list your website URL in your profile setup is one of the most important steps for internet marketing. Set a goal to post at least one blog per day on each social media site. You can use the blog posts on your website but remember integrated anchor text backlinks should contain your targeted long tail keywords and point to different blog pages on your website. Use variations of long tail keywords so it doesn’t appear as keyword stuffing. Keywords should be around 3% of entire content. Each blog should be around 500 words or more with at least one embedded Youtube video. Use images in your blog posts so Pinterest users can pin them. Use social media like, share or connect buttons which enable readers to follow you on Google+, Linkedin, Facebook and Twitter. As you’re writing your blog posts, keep in mind your content must contain how your products or services can help people in their everyday lives as these visitors will more than likely share or re-pin your content and their followers as well. Best quality content keeps your visitors on your blog posts longer thus reducing your site’s bounce rate and improving your SEO. Remember, you are not trying to rank your blog posts but as a way of link building to increase your website’s page and domain authority. Social media marketing is an important part of your internet marketing campaign to promote your content to a broad audience which helps drive a huge amount of visitors back to your website. There are many people who would rather watch a video instead of reading 700 words of text so I strongly recommend embedding a video below your blog post as this sends a signal to Google of excellent quality content. I’ve been using social media for years as a way of increasing my website’s SERP with fantastic results. I write my own blogs since I know many SEO methods but If no one in your company is able to write blogs at 3% keyword density, I recommend hiring a professional marketing blogger. Good luck and happy social media marketing! SEO experts have used anchor text links with keywords to increase their SERP in the past, however, do not spam your anchor text links with the same keywords, spice it up with different words. 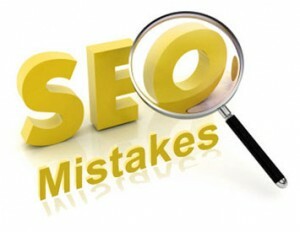 Below are some methods you should avoid when implementing your SEO campaign. There are spam guest blogging and legitimate guest blogging. Google will see guest post links that are not relevant to the site’s theme as spam. A few high quality PR9 backlinks is worth more than hundreds of PR1 backlinks so save time and concentrate on high quality backlinks. Long tail keyword stuffing gets penalized more frequently compared to head terms. Keyword density should be no more than 3% to 5%.so the more content you have, the more keywords you can use. Use keywords which are relevant to the page’s title and description tag. Do not use paid directories or server link farms to get your backlink or this might get you penalized from Google on search results. Google always likes orginial fresh content so keep your website updated regularly and also update the date line in your sitemap file. In the early 1990’s when cell phones first appeared on the market, they were big, bulky, short battery life and did nothing more than making a phone call, however, today 22 years later cell phones have evolved from analog to digital and merged with the internet to provide people instant information anywhere. Google states as of April 2015, approximately 50% of world wide internet traffic is now on mobile devices and growing yearly. 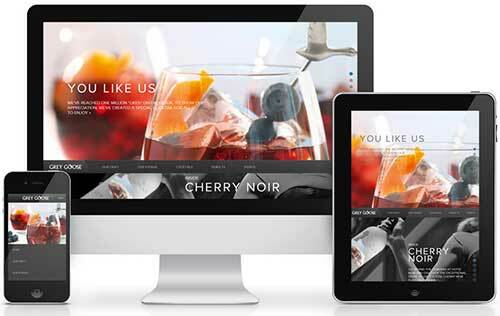 As a result, Google is now requiring websites to be mobile friendly or risk being penalized on mobile searches. Bootstrap is the future of web design and fairly new so there isn’t a lot of installable GUI programs on the market to purchase. In fact, there is not a lot of tutorials on the internet to help one learn how to write the code. GitHub https://github.com/ is an online resource for lots of plugins and is definitely worth checking out. We now offer a combination of video and social media marketing to help increase the sales of your products or services so call us today and our team of experts can help you get started on your marketing campaign.